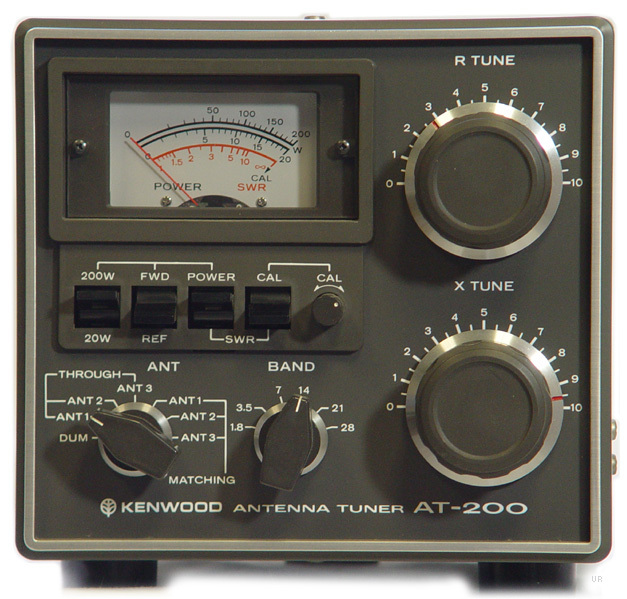 The Kenwood AT-200 antenna tuner covers 6 amateur bands from 1.8 to 30 MHz with easy to use controls. Through power is 200 watts maximum. 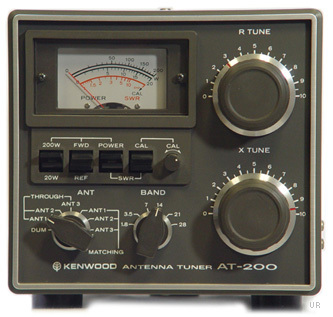 It has power scales for 20 and 200 watts. 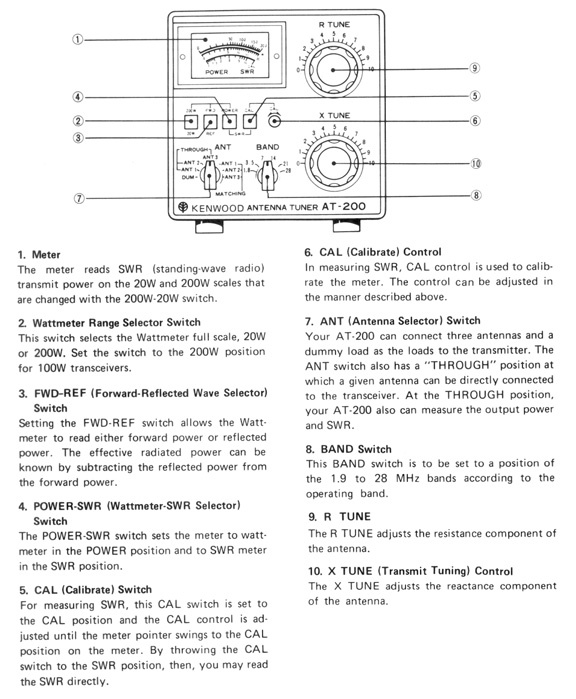 There is a built in SWR meter. 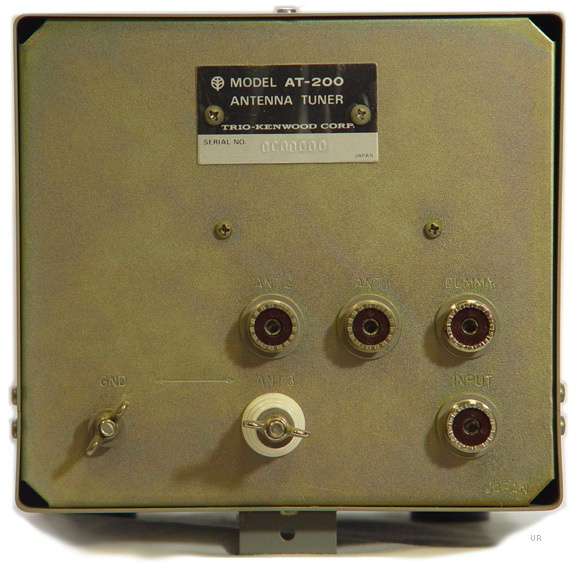 The rear panel has: Input is SO-239 [UHF]. 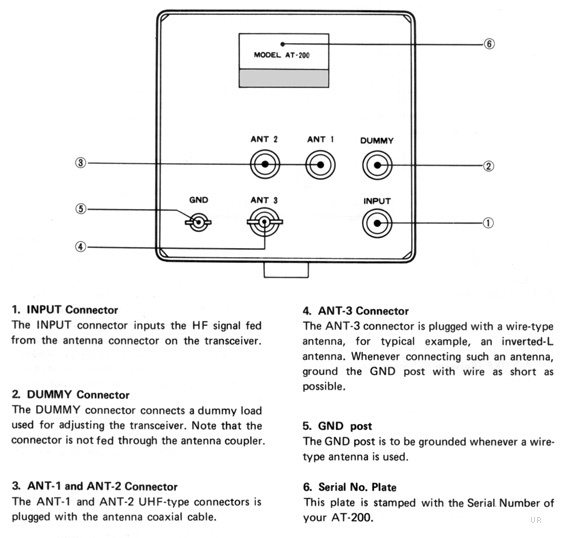 Antenna Output 1 is SO-239 [UHF], Antenna Output 2 is SO-239 [UHF], Antenna Output 3 is wire connection and ground. 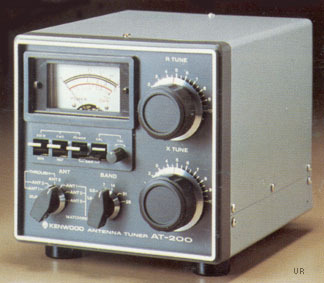 The AT-200 is a perfect match with the TS-820S series. Physical: 7.2 x 5.3 x 11.5 inches 7.5 lbs. (180x133x287mm 3.4 kg).